It has been a very busy second half of 2018. 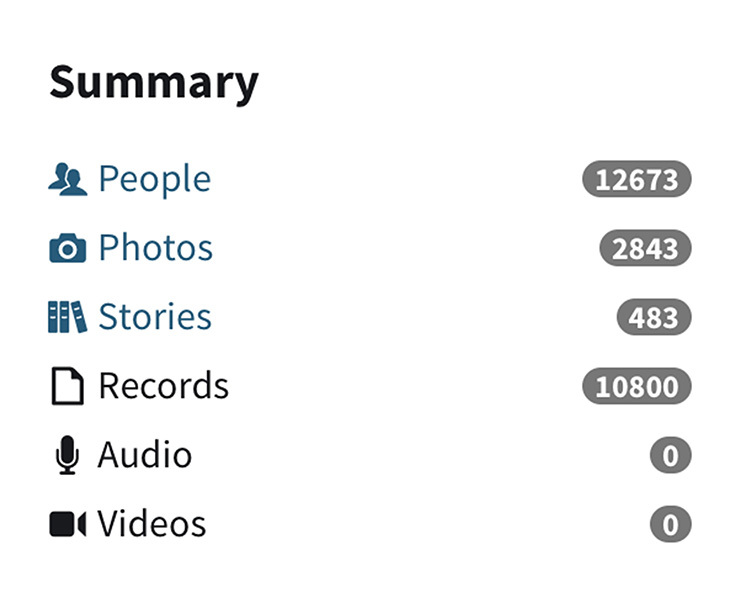 Since 13 July when we added the 10,000th person to our family tree, it has grown another 25%. ­Levi was born in Ray’s Mill, Berrien County, Georgia, the son of Henry and Mary Knight, and was raised there. In the 1910 US Census, he is listed as a boarder in Lowndes County, Georgia, and his occupation is listed as clerk at a drug store. In the 1920 US Census, he is listed as living with his family in Macon, Bibb County, Georgia, and his occupation is listed as druggist in the wholesale drug industry. Before 1938, he removed to Augusta, Richmond County, Georgia, and was still living there in 1953. He was living in Midville, Burke County, Georgia, when he died in 1968. 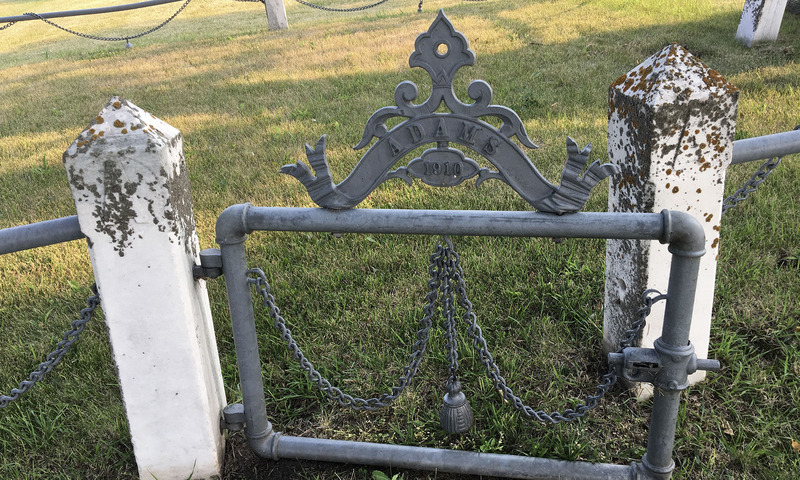 He was married twice, first to Lila Mae Joiner. After Lila Mae’s death in 1949, he married Emily Jay. ­On this day in history, 25 Dec 1805, Lewis and Clark’s Corps of Discovery spent Christmas Day at Fort Clatsop in the Pacific Northwest. At first light on Christmas morning, 1805, the men woke the captains with a volley, a shout, and a song. They exchanged presents—Private Whitehouse gave Captain Clark a pair of moccasins he had made, Private Silas Goodrich gave him a woven basket, Sacagawea give him two dozen white weasel tails, and Captain Lewis gave him a vest, drawers, and socks. The captains divided the small quantity of tobacco they had left, keeping one part for use with the Indians and dividing the other among the men who smoked. The eight non-smokers each got a handkerchief. Undaunted Courage: Meriwether Lewis, Thomas Jefferson, and the Opening of the American West, by Stephen E. Ambrose, 1996. 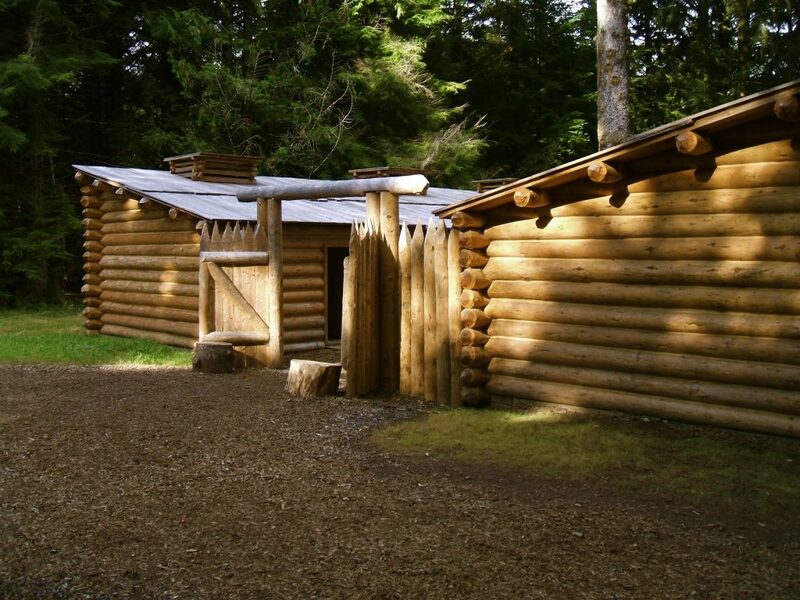 Fort Clatsop replica built in 2007, near Astoria, Clatsop County, Oregon. After successfully reaching the Pacific Ocean on 20 Nov 1805, the Corps of Discovery established their winter camp, Fort Clatsop, on 7 Dec 1805 near present day Astoria, Clatsop County, Oregon. ­CPT Meriwether Lewis (1774-1809) is 3rd cousin 9x removed of MKS in the Knight branch. 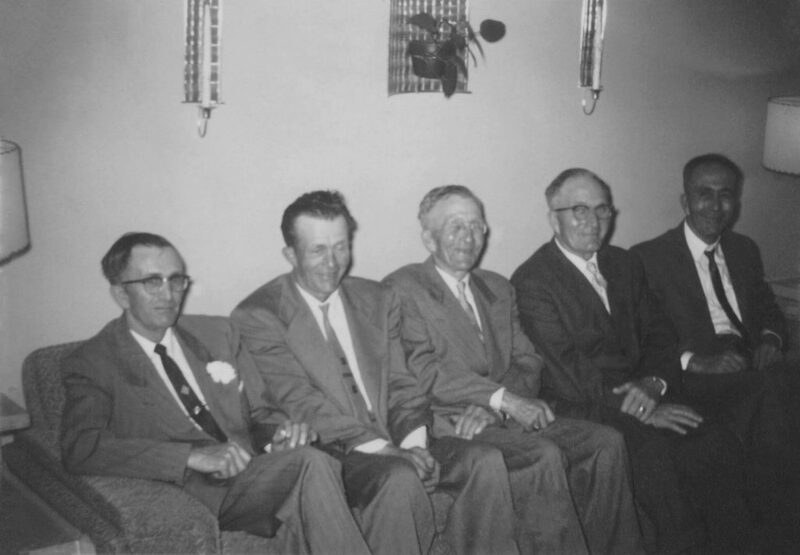 The Wetherbee Brothers—left to right: Donald, Lester, Stanley, Clarence, Max; bef. 1959. Donald, Lester, Stanley, Clarence, and Max are the sons of Homer and Florence Wetherbee. They were born and raised in Fairmount, Richland County, North Dakota. 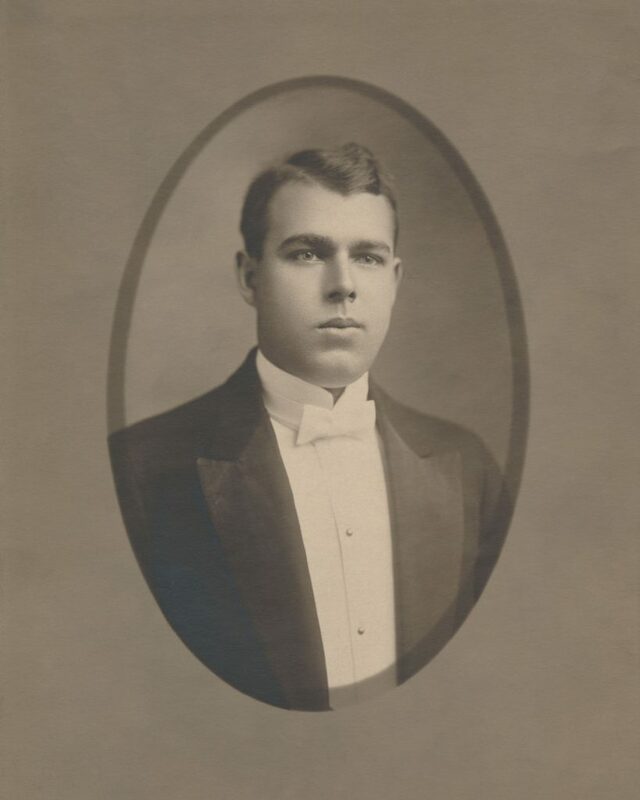 Stanley George Wetherbee (1890-1971) is 2nd great-uncle of MKS in the Wetherbee branch. Donald Robert Wetherbee (1902-1973) is great-grandfather of MKS in the Wetherbee branch. Max E. Wetherbee (1907-1978) is 2nd great-uncle of MKS in the Wetherbee branch. Lester H. Wetherbee (1909-1985) is 2nd great-uncle of MKS in the Wetherbee branch. A new report—Religious Leaders—is now available on the Reports page. There are 61 religious leaders in our tree today. In our newsletter Volume 10 (Nov 2017), we learned about the Eppes Plantation and Appomattox Manor at City Point (now Hopewell), Virginia, also known from 15 Jun 1864 to 29 Mar 1865 as the Headquarters of the Armies of the United States. There is a wealth of information available about Appomattox Manor, and the surrounding area of City Point, including an exhaustive history—Appomattox Manor—City Point: A History . The Library of Congress also has many photographs available online. Here are a few interesting finds since our original Nov 2017 article. Lt. Gen. Ulysses S. Grant (third from left) and staff at City Point, Virginia, summer 1864 . President Abraham Lincoln spent two of the last three weeks of his life at City Point. Below is the telegram received by President Lincoln from LTG Grant inviting him to visit—”the rest would do you good.” President Lincoln visited from 24 Mar to 8 Apr 1865. Telegram (cipher, meaning encrypted) from Lt. Gen. Grant to Abraham Lincoln, 20 Mar 1865 . Captain Robert Todd Lincoln, the President’s son, served in the last weeks of the war at City Point as part of LTG Grant’s immediate staff. LTG Grant departed Appomattox Manor on 29 Mar 1865, moving his headquarters closer to the front in anticipation of General Robert E. Lee evacuating Richmond and Petersburg. 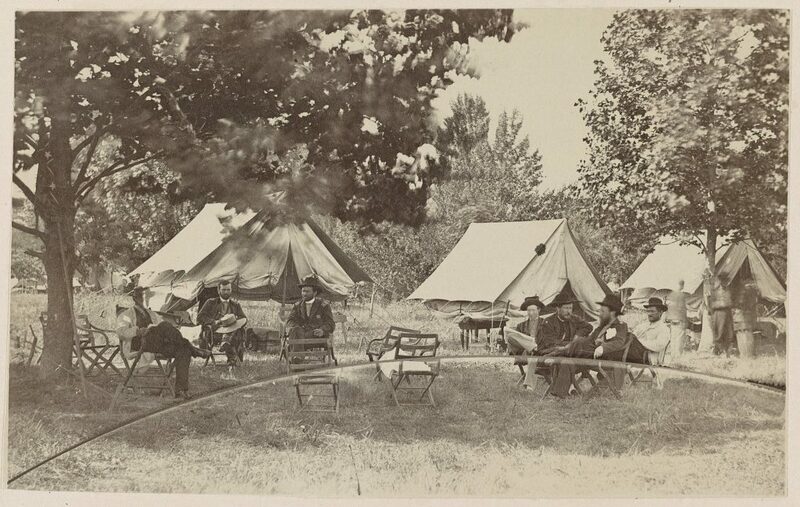 Lincoln remained to monitor the progress of the war from the telegraph office in the Appomattox Manor house, visited Petersburg on 3 Apr and 7 Apr, and visited the Depot Field Hospital (which had 10,000 beds, one of four military hospitals at City Point) on 8 Apr. Gen. Sheridan says “If the thing is pressed I think that Lee will surrender.” Let the thing be pressed. GEN Lee and the Army of Northern Virginia surrendered two days latter in the McLean house in the village of Appomottox Court House. LTG Hiram Ulysses Simpson Grant (1822-1885) is 6th cousin 6x removed of MKS in the Knight branch. CPT Francis Eppes (1597-1674) and Marie Pawlett Eppes (1601-1674) are 12th great-grandparents of MKS in the Spratlin branch. Dr. Richard Cocke Eppes (1824-1896) is 4th great-grandson of Francis and Marie, and 5th cousin 8x removed of MKS in the Spratlin branch. Appomattox Manor—City Point: A History, Dr. Harry Butowsky, National Park Service Staff Historian, 1978. Grant and staff at City Point, Va., summer, 1864, Library of Congress, LCCN Permalink. 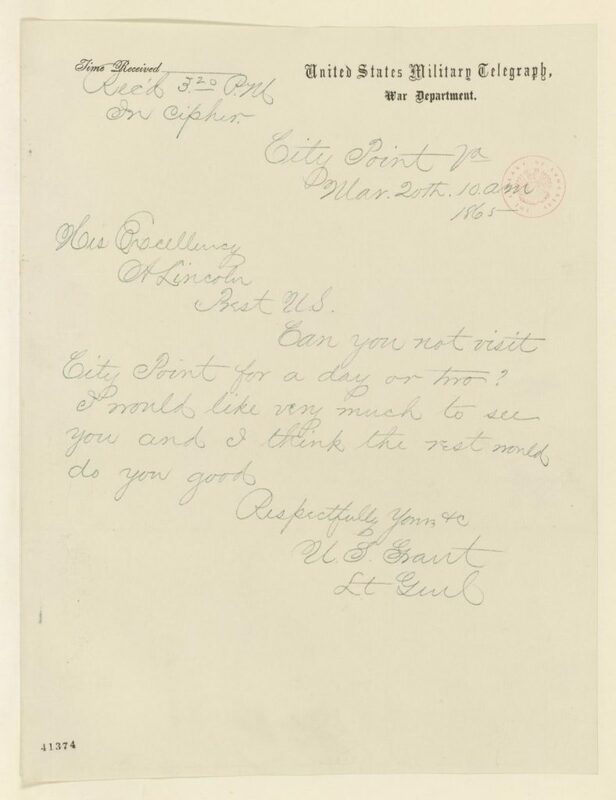 Ulysses S. Grant to Abraham Lincoln, 20 Mar 1865 (telegram inviting Lincoln to visit City Point), Library of Congress, Digital Id. 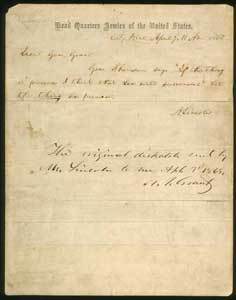 Abraham Lincoln—Let the Thing Be Pressed Telegram to General U.S. Grant April 7.
bet. 1900-1908, early in that period. 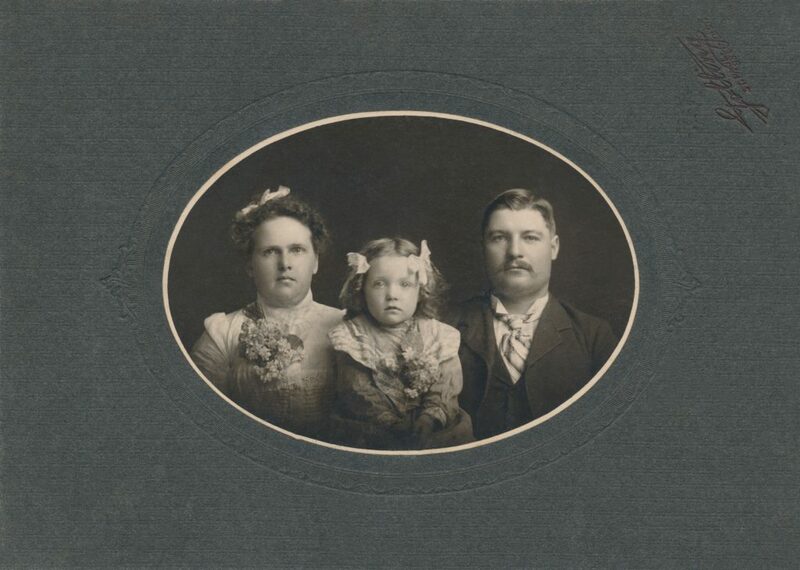 This family portrait was taken by the Golling Studio, which was located at 93 East Seventh, St. Paul, Minnesota. The studio was open at this address between 1900-1908. Based on Illa’s appearance, this portrait was taken early in that period. Francis Edmund Adams (1871-1939) is 3rd great-uncle of MKS in the Watne branch. Edith Jane Hines (1872-1966) is wife of 3rd great-uncle Francis Edmund Adams. Illa Mae Adams (1898-1982) is 1st cousin 3x removed of MKS in the Watne branch. Source: KMS Family Genealogy Digital Archive, Kathleen Lucille Watne Wetherbee collection (photograph). Pilots rescued by the USS Finback, abt. Sep 1944. 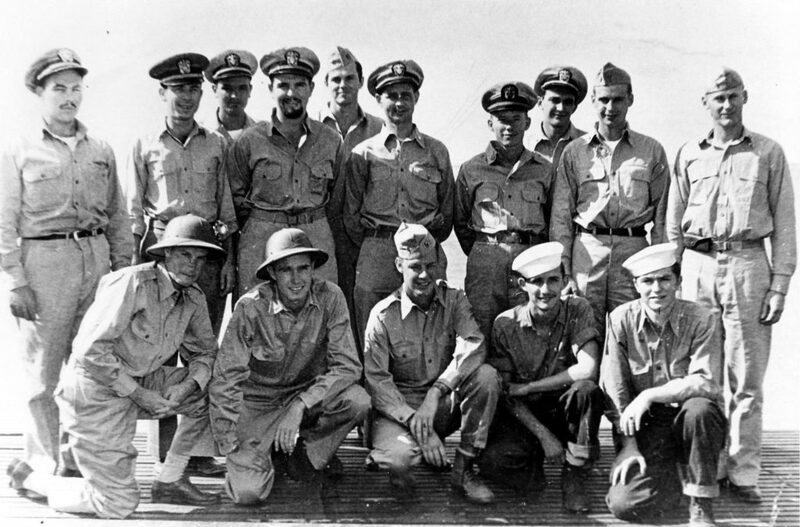 The George Bush Presidential Library and Museum posted this photograph on 12 Nov.
Downed pilots rescued by the USS Finback shown with the officers of the Finback. Here is our original post George H. W. Bush Drops in on Dean Spratlin.